The Motor Vehicle Fire Credential Endorsement program encompasses the sub category of passenger motor vehicle fire investigation. The credential attaches to the highest level IAAI Certification of the applicant. All applicants must possess either the IAAI Fire Investigation Technician designation (IAAI-FIT®) or the IAAI Certified Fire Investigator designation (IAAI-CFI®). The IAAI-FIT and IAAI-CFI are administered by the IAAI and are designed to verify an applicant’s level of fundamental knowledge as measured against various core job performance requirement (JPR) of NFPA 1033 Standard for Professional Qualifications for Fire Investigator and other guidelines related to fire investigation. This standard lays the foundation for measuring the holder’s fundamental understanding of how to perform specific tasks related to fire scene investigation at an acceptable level and their ability to properly perform specific tasks related to the specialized motor vehicle fire investigation category. The applicant for the Motor Vehicle Fire Credential Endorsement must currently possess the IAAI-FIT or IAAI-CFI credential or apply at the same time as applying for IAAI-FIT(V) or IAAI-CFI(V) credentials. The applicant must have a minimum of three (3) years of specific experience of fire investigation which shall be directly involved with the investigation, and documentation of motor vehicle fire events. The applicant must have participated in the investigation and documentation of a minimum of fifteen (15) motor vehicle fire investigations with no less than three (3) investigations per year in the three (3) years preceding application for the Motor Vehicle Fire Credential Endorsement; or completed a minimum of forty (40) motor vehicle fire investigations in the ten (10) years preceding application for the Motor Vehicle Fire Credential Endorsement. Training specifically related to the investigation of motor vehicle fires which has been submitted as part of the master certification application or recertification process can be used to support the completion of this requirement. To apply for the Motor Vehicle Fire Credential Endorsement, complete the application and return it to IAAI as directed, with the application fee and all supporting documentation required. The application fee for IAAI members is US$90. For non-members, the fee is US$325. Please note that individuals who are members of a local chapter only do not qualify for the IAAI member rate. To obtain the member discount rate, a non-member may choose to join IAAI prior to filing the application. If the application is not approved, you will be advised of the appeals process. 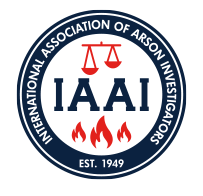 For detailed information on the full process of the program, please read the International Association of Arson Investigators Motor Vehicle Fire Credential Endorsement Program Manual. The IAAI Motor Vehicle Fire Credential Endorsement will attach to the highest level master credential expiration date and all holders of this endorsement will be required to renew on a periodic basis. It is the holder’s responsibility to remember the expiration date of their master credential and to submit the required documentation in a timely fashion and provide any additional supporting information required with their IAAI-FIT or IAAI-CFI renewal application. Applicants applying for renewal of this credential endorsement must provide documentation of continued meeting of minimum master credential program requirements, including any work experience and training and education required by the IAAI-FIT or IAAI-CFI renewal application as appropriate, as established by the IAAI Training and Education Committee, the IAAI-CFI Committee and approved by the IAAI Board of Directors. Additionally, the applicant must provide documentation of the participation in a minimum average of three (3) vehicle fire investigations per year since original application or last renewal. If an individual allows their master credential or this credential endorsement to lapse or expire, they must reapply for this program. Requests for exceptions based on extenuating circumstances must be submitted in writing for consideration by the IAAI Training and Education Committee (if the applicant’s master certificate is IAAI-FIT) and/or the IAAI Certified Fire Investigator Committee (if the applicant’s master certificate is IAAI-CFI) who will make a recommendation to by the Board of Directors for final action. Applicants shall submit a credential endorsement renewal application with their master credential renewal application and supporting documentation. Additionally, the applicant must provide documentation of participation in the minimum number of motor vehicle fire investigations on an annual basis with appropriate supervisory documentation. The applicant shall document the required number of motor vehicle investigations by date, case number, and vehicle identifying information (minimum of year, make and model). No application fee required at this time.